Join us for a mid-year HOLIDAY retreat! 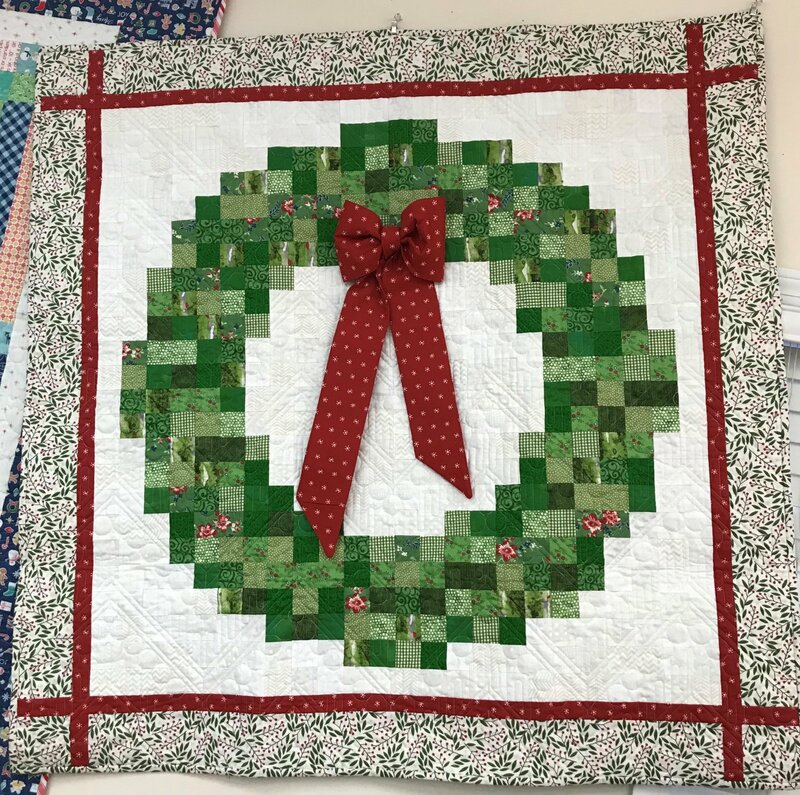 We will be making a beautiful Christmas wreath quilt by Susan Ache throughout the weekend! Cinnamon’s will have kits available for purchase which will include all your fabric needed for your top and binding. Susan will be with us with some amazing show and tell projects from her newest book and she will even autograph your book during lunch on Saturday! There will be some pre-cutting work necessary so please watch your email for information. Also, you will be able to use an entire table for weekend to sew, sew, sew! Please eat before you arrive on Friday as we will get started on our projects right away.